Phillippi Creek is an urban waterway. During a storm event, rainwater will run off 56 square miles of backyards, neighborhood streets, shopping centers, and parks to collect in the creek. The Environmental Protection Agency (EPA) and the Florida Department of Environmental Protection (FDEP) have identified Phillippi Creek as having high levels of bacteria and nutrient pollution. One of the sources of this pollution is pet waste. (Another source is fertilizer). When dog poop gets picked up by the rain, it can transmit parasites, cause algal blooms, and harm the fish and wildlife living in or near our creeks and waterways. Pick it up and toss it out. Better in a landfill than in the creek! Poop breaks down and washes away. This is true — it washes away into the creek, carrying nitrogen and bacteria and possibly parasites and viruses with it! Poop is good fertilizer for your yard. Of all of the different residential formulations of fertilizer that fertilizer companies produce, there’s a good reason they don’t produce a special Saint Bernard poop mix or standard poodle poop mix. Dog poop is a highly concentrated source of nitrogen and will burn your lawn. 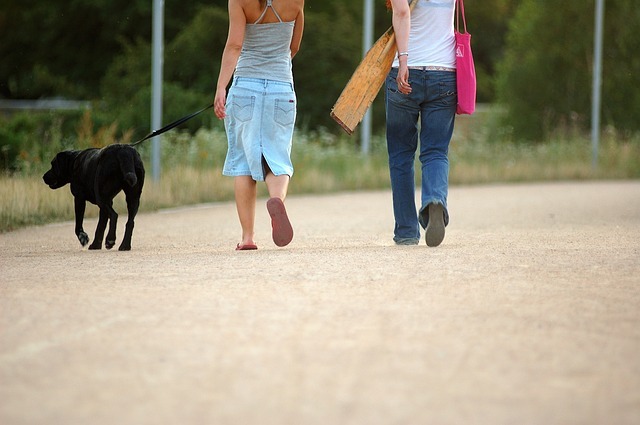 Dog poop also contains harmful bacteria that can make you and other wildlife sick and it can contain parasites. Nobody picks up wildlife poop, why should I pick up my dog’s poop? The natural environment we have left does not function as it once did. Normal carrying capacity for top carnivores has been exceeded. Is there a study about how many dogs an area could handle? I live far from the bay, no way my dog’s poop reaches there. Rain can wash nitrogen, bactiera, parasites and viruses from dog poop from your yard. It can wash directly into waterways, or though stormwater drains into creeks, rivers and our Bay. Water that runs off your residential yard, enters the street, goes down a storm drain, which mostly empty into our creeks that flow into the bay. Or empty directly into the bay (e.g., Indian Beach). Dog poop is safe and biodegradable. Dog poop is biodegradable, but it is not safe. It contains harmful bacteria that can cause serious disease. It can also contain parasites, which are not safe. For the same reasons that most modern Floridians don’t poop and leave it in their own or neighbor’s yards or our parks – it’s not safe to leave dog poop. Stormwater goes to a water treatment plant, which treats bacteria and parasites. In Sarasota, stormwater and sanitary sewers are separate systems. Most stormwater moves through storm pipes to creeks and out into the Bay. Some neighborhoods’ stormwater drains directly into the Bay.